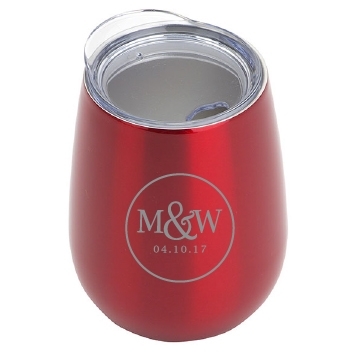 For the contemporary wine lover, personalized double wall stainless steel wine tumblers are the perfect gift. 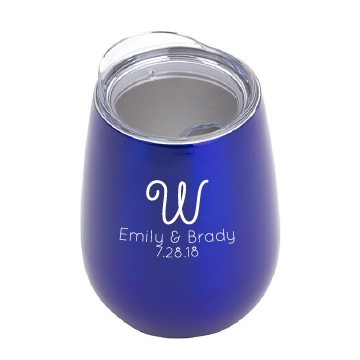 Whether for a wine-themed engagement party, wedding or other event, these are sure to be a hit. 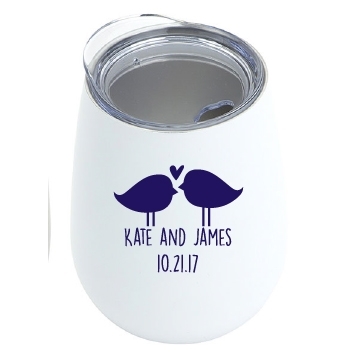 Customize with your names and wedding date, upload your custom artwork, or select one of our designs. The price includes a 1-color imprint. Colors: white, silver, black, blue, or red. Select the imprint color of your choice.